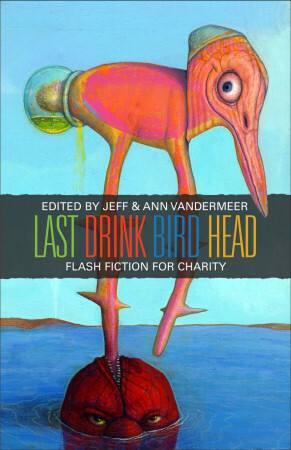 Last Drink Bird Head, a neat anthology the proceeds of which go to ProLiteracy, is available for pre-order from Wyrm Publishing, at a 5 buck discount. Ann and Jeff Vandermeer are the editors, so you can be sure it is all quality stuff. Go here for details. Thick, soft, doughy muscles, body anointed with mustard paste; he was short with a sharp nose and hair on his back. He wore neck-weights, did rigorous squats and plyometric press-ups and exercised with a thick length of bamboo to which a large stone was affixed. He ate pulses and fish seasoned with turmeric and drank chickpea water. You are currently browsing the Oxygen blog archives for September, 2009.